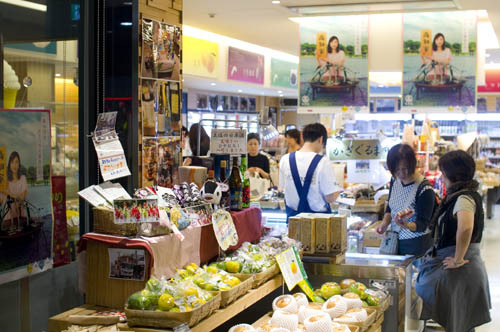 Food products from Kochi Prefecture are sold in the first-floor "Tosa Market" retail shop, including plenty of fresh fruits and vegetables. Unusual items include rice ice cream and yokan candies in flavors like eggplant, garlic and potato. 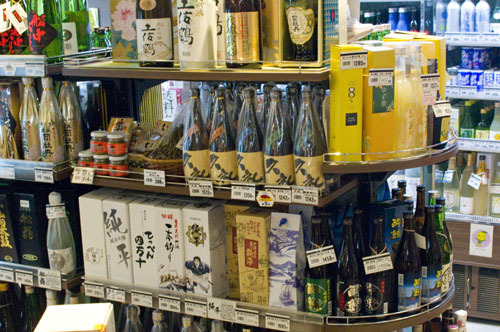 Down in the basement you'll find a huge selection of sake plus a good number of fruit liqueurs. 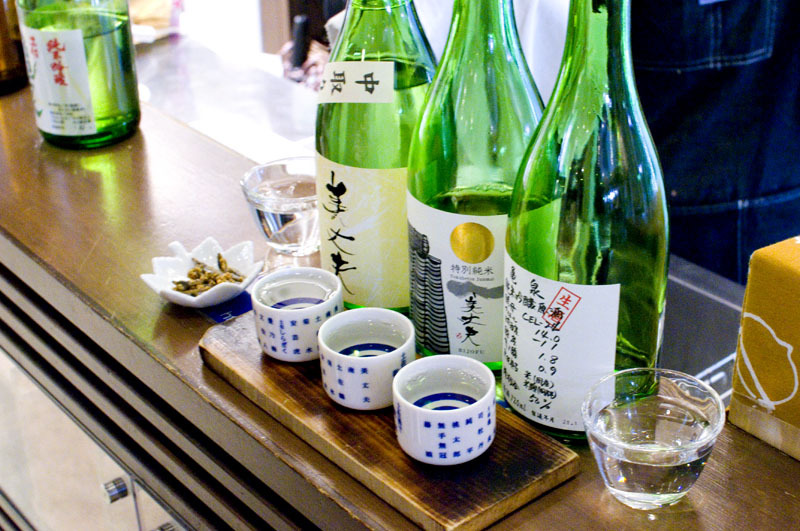 The small tasting counter offers single tastings for Y200 or three-part tastings with a miniscule otsumami snack for Y650, and there are usually 8-10 bottles open to choose from. Up on the second floor is "Tosa Dining" (03-3538-4351), a restaurant serving regional seafood cuisine from Kochi for lunch and dinner.